It takes a bit longer than the traditional way of making stuffed paratha, but take my word that after learning this trick, every paratha you roll out will have perfectly even stuffing and none of it coming out. 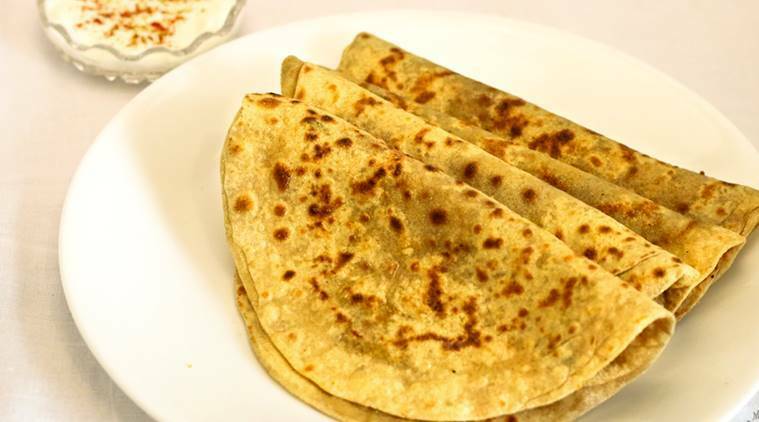 Learn the trick to make perfectly stuffed parathas. Stuffed parathas probably rule the world of Indian bread. 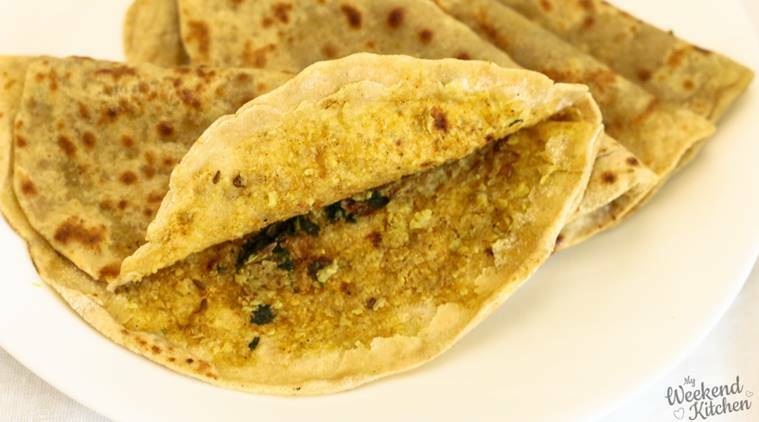 As a kid, gobi wasn’t on my list of favourite vegetables but gobi paratha definitely was. It gave my mom the perfect recipe to include gobi in our meals without any fussy face or complaining. Isn’t that the dream of every mother? I love stuffed parathas of all kinds and I struggled royally to make the perfect stuffed paratha all the years when I was a bachelorette. We were three girls sharing an apartment in Bangalore and while we mostly cooked rice for weekday dinners, weekends was the time to try something more elaborate. I kept on practising and years later I would learn the fool-proof method to make stuffed paratha without any filling ever coming out. It takes a bit longer than the traditional way of making stuffed paratha, but take my word that after learning this trick, every paratha you roll out will have perfectly even stuffing and none of it coming out. And I explain it all in the pictures below. * Combine whole wheat flour and salt in a big mixing bowl. Slowly add in water as required and knead to a soft dough. Cover with a damp kitchen towel and let the dough rest while you prepare the stuffing. The secret to a good dough is the amount of time you allow it to rest before making the parathas. * Wash, dry, and grate the cauliflower. * Heat oil in a pan. When the oil is hot, add the chopped onions, ginger, and chillies. Sauté for 2 minutes. * Add the grated cauliflower, turmeric, amchoor, and salt. Mix well and cook for 3-4 minutes. Remove from heat. * Uncover the dough and knead again for a few minutes. For each paratha, we will first make 2 smaller discs. So divide the dough into around 12 balls. * Heat a flat pan on medium heat. * Roll out two dough balls into an approximately 4” diameter discs. Place one disc on the chakla. Spread about 1 tbsp of gobi stuffing on it. Cover with the second dish and close the edges like you see in the image below. * Now dust it again and roll the stuffed discs to about a 6-7” diameter paratha. * When the pan is hot, place the rolled paratha onto the pan and let it cook for a minute. Flip and let it cook from the other side. Add some ghee from the sides. Press down with a flipper or a spatula for even cooking. Flip, add some more ghee and cook till both sides have golden brown spots. Usually takes 3-4 minutes per paratha. * Serve hot with raita, pickle, or ketchup. 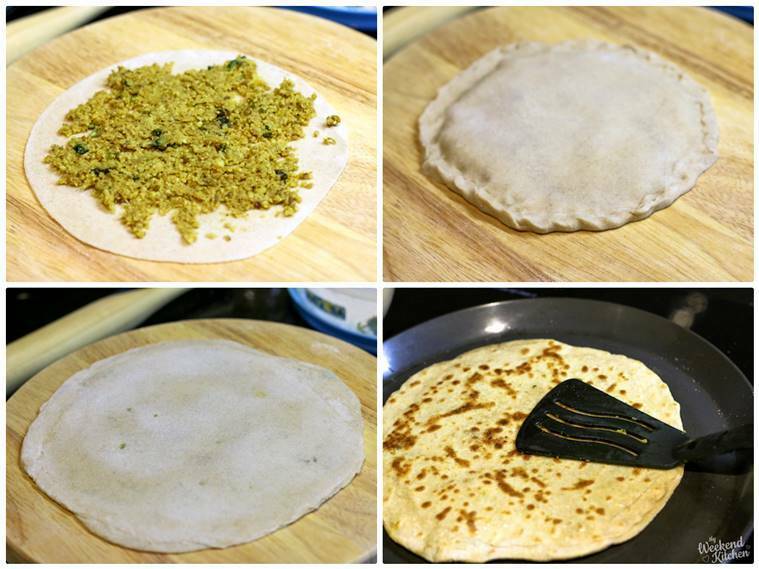 Stuffed parathas have a lot of steam trapped inside them so open them slightly before serving to kids.